Biological scaffolds, soft tissues, chemical enrichment. 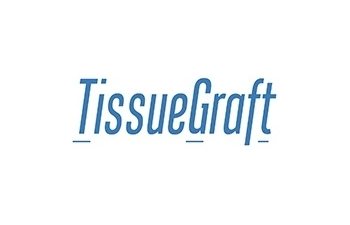 TissueGraft company develops innovative biological substitutes for surgical applications, with high biocompatibility, for soft tissue repair and regeneration, in particular for abdominal hernia repair and vascular substitution. The idea behind TissueGraft was born in autumn 2013 by a research group of the University of Piemonte Orientale, Department of Health Sciences. The company, made up by a chemist, a biologist and a medical biotecnologist, participated at the Start Cup Piemonte and Valle d’Aosta in 2014, won the third place. In November 2014 the company was formed as an academic spin-off. Ensure a scientific and strategic vision for the strengthening and growth of the company, achieving the desired targets on the scientific and technical level in the market and, in general, for the scientific community. Assessing biocompatibility, haemocompatibilty and mechanical properties of materials for tissue engineering and regenerative medicine. Improving an existing product of a company involved in regenerative medicine with sueGraft process. Developing new products in collaboration with companies interested in regenerative medicine market. TissueGraft can evaluate materials’ cytocompatibility, measuring cell viability in contact with the biomaterial; assess eventual immune and inflammatory response by performing the most advanced tests, evaluating haemocompatibility and assessing materials’ mechanical properties. Products: medical devices for ernial cure and biological vascular substitutes useful for peripheral revascularization.